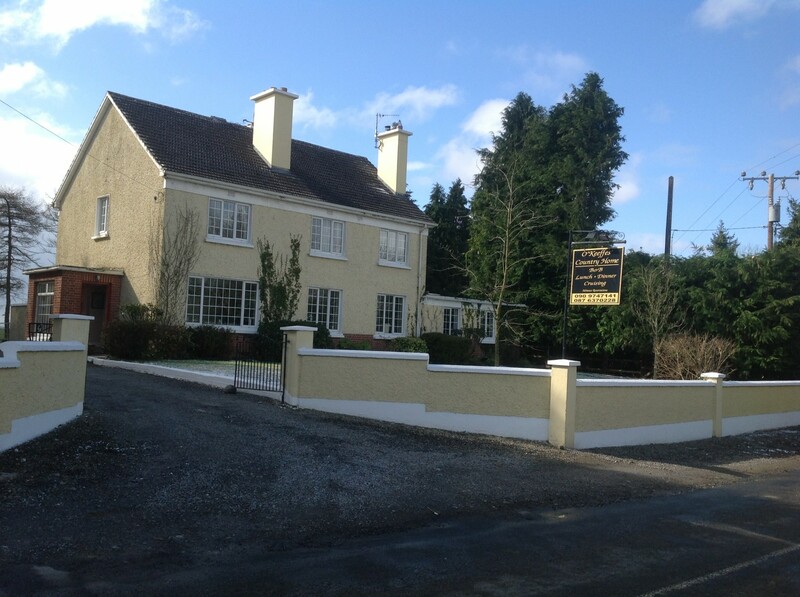 O’Keeffe’s Country Home is a well appointed town and country home situated adjacent to Lough Derg and within 4 km of the beautiful village of Terryglass with local pubs and a harbour and 8km from the town of Portumna where the magnificent Portumna Castle and Gardens are located. Local amenities include fishing, boat hire, cruising, golf, horse riding, hunting, hill walking, cycling and go carting. Leisure facilities at Portumna.Portumna Forest Park is a great place to walk and cycle. All rooms en suite with TV, DVD, Ironing board, hairdryer and tea making town are available. Special budget rates available on request. There are free cruises on Lough Derg for all guests that stay at O’Keeffes so don’t miss your chance to get out on the water and explore the Lough Derg Lakelands from the northern shores that border the counties of Tipperary and Galway. Book a stay with O’Keeffes and enjoy a great break to the Lough Derg Lakelands.